The Concorde is, in may ways, the pinnacle of technological advancement made possible through a profound sense of mid-century optimism. Jointly conceived between Britain and France (BAC/Aérospatiale) with a name reflecting this collaborative effort, the plane with its unique delta-wing configuration and automated droop-nose was able to achieve supersonic Mach 2 – twice the speed of sound. This allowed for a London to New York flight time of 3 hours – less than half of the conventional, subsonic duration. 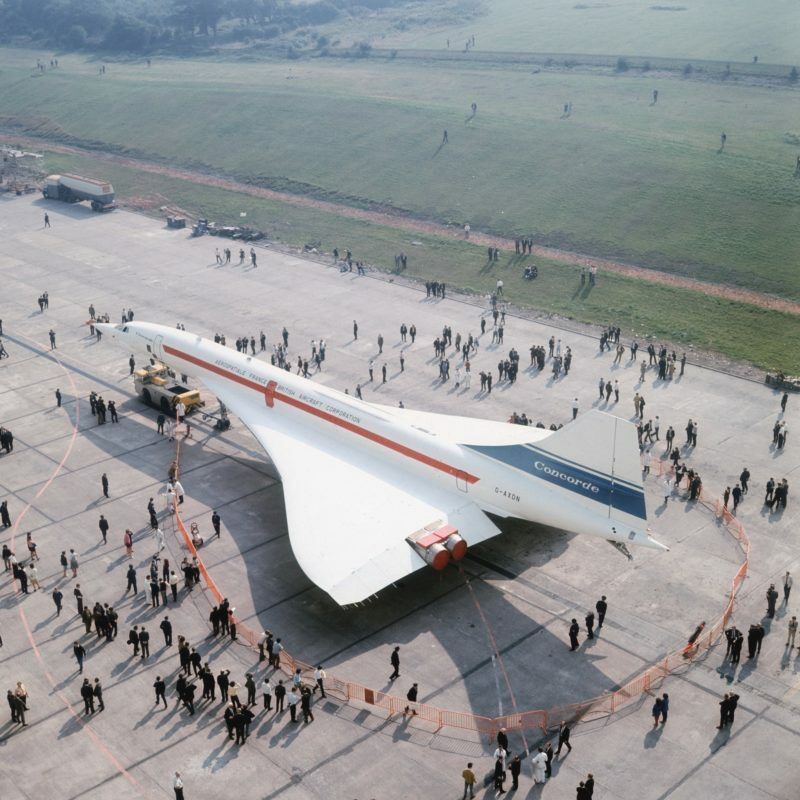 With only 20 aircraft ever built (the US famously dropped its supersonic programme and opted for the investment in a larger, more conventional design which became the Boeing 747), Concorde became a vessel those famous and famously successful. Its eventual downfall was facilitated by a single Air France crash in 2000, maintenance termination by the manufacturer and the aviation downturn following the September 11 attacks. To this day, pilots and passengers alike reflect that operating and travelling via Concorde was an exceptional, unrivalled experience and multiple efforts have been made to revive the fleet which presently resides decommissioned and inoperable, dispersed in aviation museums worldwide.